A hotter, more forgiving Carpenter 475 face maximizes deflection to increase ball speed and generate distance with control. 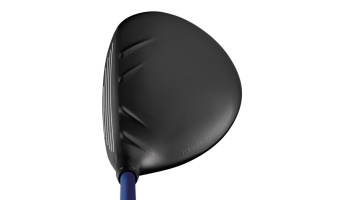 The taller hitting surface allows for additional bending and elevates the vertical (top to bottom) MOI. Speed-enhancing crown turbulators help with aim and inspire confidence. 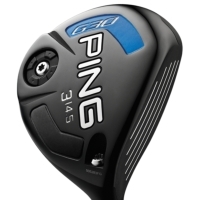 Five settings offer the ability to add or subtract 1 degree of loft for fine-tuning trajectory. Faster ball speeds and greater distance come from a larger face made of Carpenter 475 steel, creating a thin but strong hitting surface that maximizes face deflection. (Carpenter 475 steel is 44% stronger than 17-4 stainless steel.) Weight saved by thinning the face was redistributed to optimize the CG and elevate MOI for added forgiveness. A taller, Carpenter 475 steel face allows for additional face bending to generate ball speed and distance with increased forgiveness. The flatter top rail maximizes face size and provides a square appearance. Add or subtract 1 degree of loft with Trajectory Tuning+ Technology. Settings are standard, +0.6°, +1°, -0.6°, and -1°. This adjustable hosel has the same mass and outer diameter as our fixed hosels, providing the benefits of adjustability without sacrificing performance. Speed-enhancing crown turbulators create a captured appearance with the ball, and help with aim and alignment to inspire confidence.